Born in 1960, anothermountainman lives and works in Hong Kong. A graduate of Hong Kong Technical Teachers’ College (Design & Technology), anothermountainman is a renowned designer, contemporary artist, and guest lecturer in major local and overseas educational institutions. 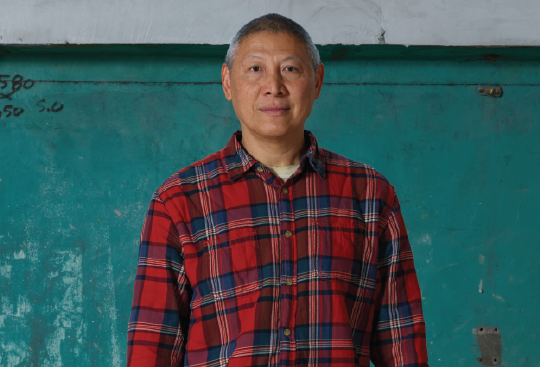 Over the past decade, anothermountainman has gained international attention with his “red, white and blue” collection, representing the “positive spirit of Hong Kong”, which he presented at the 51st Venice Biennale in 2005 representing Hong Kong. anothermountainman is the recipient of more than 600 local, Asian and international awards for his art, design, photography and advertising works, including The One Show gold awards from the US, the D&AD yellow pencil from the UK, and the Tokyo TDC award. Many of his art works have been exhibited at local and international galleries and museums in over 100 shows, including a solo show in Tokyo in 2015. Selected works are now part of the permanent collections of major museums such as M+ in Hong Kong, and the Victoria and Albert Museum in London, UK. anothermountainman has also received the Artist of the Year 2011 (Visual Arts) award from the Hong Kong Arts Development Council and the Hong Kong Contemporary Art Award 2012 from the Hong Kong Museum of Art. Born in 1976 in Hong Kong, Eric Chung currently lives and works in Okayama, Japan. Chung went to Japan in 1997 to start his career as a professional photographer. His recent exhibitions include GOOD LUCK HONG KONG at ATSUKOBAROUH arts drinks talk, Tokyo, Japan (2015); Eye of the Vortex, Guardian Garden, Tokyo, Japan (2014); LOOK AT THIS PEOPLE, AKAAKA Gallery, Tokyo, Japan (2012); GOOD LUCK CHINA hosted by Shinjuku Nikon Salon, Tokyo, Japan (2008). He has also published various photo albums along with the exhibitions. In 2001, he won the Konica Minolta Foto Premio Prize. His project GOOD LUCK CHINA also won the 9th Sagamihara Emerging Photographer Encouragement Award. Born in 1984 in Hong Kong, South Ho Siu Nam graduated from the Hong Kong Polytechnic University in 2006. Ho’s artistic practice began with photography and has since evolved to the inclusion of performance, drawing and mixed media installations. His works encompass the wonders and helplessness of living, the spirituality of existence, as well as the socio-political awareness of Hong Kong. Ho participated in group exhibitions in various international institutions, including LOOK/17 Liverpool International Photography Festival (Victoria Gallery and Museum, Liverpool, UK, 2017); Breathing Space (Asia Society, Hong Kong, 2017); Works in Progress of the CHINA 8 project (Museum Folkwang, Germany, 2015); and Basically. Forever (Kiyaosato Museum of Photographic Arts, Japan, 2014). 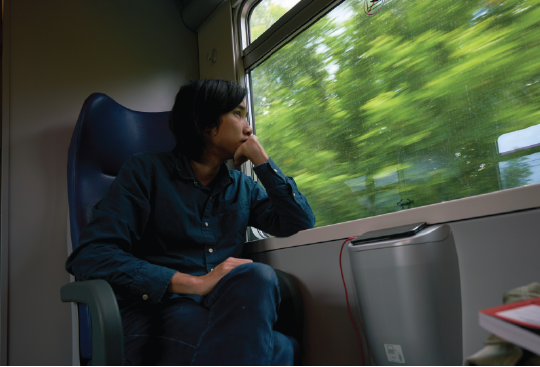 In 2009, he was awarded the Hong Kong Contemporary Art Biennial Awards. His work is collected by Burger Collection, Hong Kong Heritage Museum (Hong Kong), Legislative Council of Hong Kong (Hong Kong), Kiyosato Museum of Photographic Arts (Japan) and San Francisco Museum of Modern Art (USA). Publications by the artist include Every Daily (2013), good day good night (2015), and Space and Energy (commissioned by Tai Kwun, 2017). Ho currently lives and works in Hong Kong. In 2013, he co-founded 00 ft. PARK, a non-commercial art space dedicated to providing an open platform for exhibiting and sharing art. Born in 1982, Law Yuk Mui lives and works in Hong Kong. Law graduated from The Chinese University of Hong Kong with a Master of Fine Arts (MFA). She is the co-founder of the artist-run organisation Rooftop Institute. Using images, sound and installations as her mediums of preference, and adopting the methodology of field study and collecting, her works often involve interventions in the mundane spaces amidst the daily life of the city, combining the physical traces of history, the psychological pathways of human beings, the marks made by time, and political power in relation to geographic space. Her works have been extensively exhibited in Asia, including: From Whence the Waves Came at Para Site, Art Basel Hong Kong (2018); Future Life Handbook at the Redtory Museum of Contemporary Art, Guangzhou, China (2017-2018); Victoria East: FUSE Artist Residency at Videotage, Hong Kong (2017); Talkover/Handover 2.0, at 1a space, Hong Kong (2017); and at the Busan International Short Film Festival, South Korea (2017). 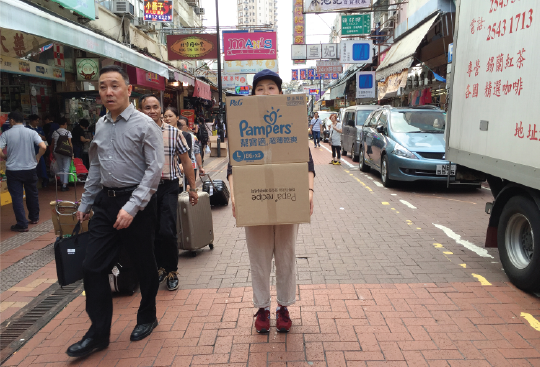 In 2018, Law received the award for Young Artist (Media Art Category) from the Hong Kong Arts Development Council, and the Excellence Award (Media Art Category) at the 23rd ifva Awards in Hong Kong. Lumenvisum. He has been a photographer and a photography educator for over 25 years. 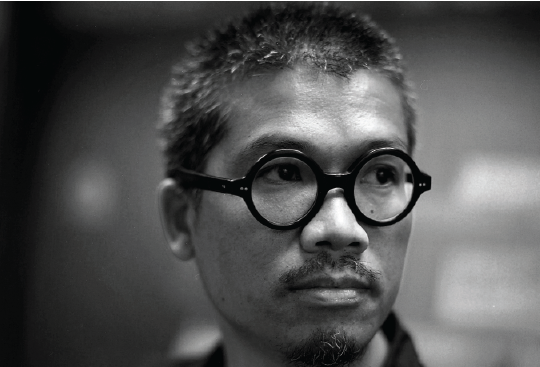 Currently he is Principal Lecturer at the Hong Kong Design Institute. Face, Hong Kong, and Australia (1999); Flashes of Images, Hong Kong (1997) and Hong Kong ’94, Hong Kong (1995), among others. His works are in the collections of the Hong Kong Museum of Art, the Hong Kong Heritage Museum, and the Hong Kong Film Archive. In 1995, he received the Bronze Award and the Kodak Award in the Editorial category from the Hong Kong Institute of Professional Photographers. For the project A Photo-Research of Off-course Hong Kong Jockey Club Betting Centre, he received the award “Fellowship for Artistic Development” by the Hong Kong Arts Development Council in 1997. In 2003, he received the Chevening Scholarship from British Council of Hong Kong.